One of the greatest pleasures in life is having a garden which is continuously filled with flowers. There is nothing better than seeing flowers spilling onto a lawn and pathways surrounding the garden, or tumbling out of pots and hanging baskets. One can start by creating long flowering foundations in the garden, that is by choosing a few plants which will form the foundation of the flowering display. It would be ideal to have plants which start flowering in spring, continue through summer and then well into autumn; but since it is not easy to find such long flowering shrubs, one can choose the different plants according to the flowering season, to ensure that there is always something blooming. These ‘foundation’ plants can be used as continuous drifts that meander through the garden beds or can be repeatedly planted in bold clumps at regular intervals. 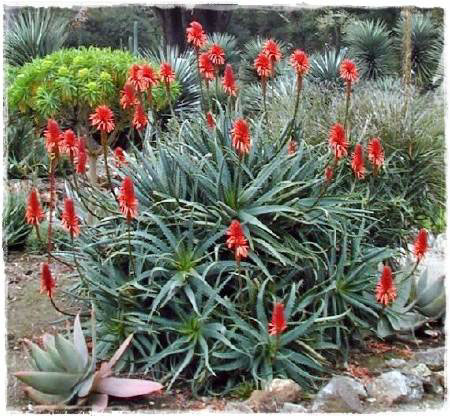 In this way these wonderful plants will ensure that there will always be at least some flowers in the garden from spring until autumn. Many decorative shrubs and climbers add colour and character to an area and highlight the changing seasons. A garden is full of colour- one’s first thought is always for flower colour but interest is also given by fruits, berries and of course foliage. There is always a base colour of green in an array of different tones - dark, light, greys, blues, yellows, etc. For best results, keep the colour scheme in the garden simple by sticking to one, two or three tones and not a riot of colours. This planned, unified look can be given to the garden either by mass planting groups of the same plant or by repeating the same colours but using different plant types. The choice of colourful plants is endless, one can start by choosing which type of colours to use and then decide on the plant variety accordingly. Cool colours are those like green, blue, white and occasionally pale tones of other colours. In warm seasons, use of these colours will help to cool the garden down to make it more enjoyable. Cool colours tend to recede away from the view of observers. For small gardens these colours should be used to give the impression that the garden is actually larger than what it really is. In large gardens, these colours will help to make the garden even larger. Plants to use are: Green – Plants with silver or variegated creamy foliage such as Convolvulus cneorum, variegated Pittosporum, Ligustrum, variegated ivy, Atriplex, Teucrium; Blue – Echium, Plumbago, Duranta, Teucrium, Thunbergia, Westringia, Vitex; White – Jasmine, Trachelospermum, Lantana, Carissa, Murraya, Rhaphiolepis, Viburnum. Available gardening areas in towns and cities are constantly on the decrease, making roof gardens a brilliant solution which brings a host of advantages, both economic and social: insulating and protecting roof coverings, cleaning air and countering climate change, providing microclimates for fauna and flora and creating new spaces for living, working and entertaining. When visiting cities such as Rome, London, New York or Paris, a skyward glance will immediately reveal how rooftops and terraces have been fully taken advantage of. Every available space seems to be brimming with greenery, which greatly contributes to the aesthetic value of these so called “concrete jungles”. In Malta, where the climate is mild almost all year round, roofs could provide a great alternative to the traditional “ground level” garden which, unfortunately, is more and more rare. Some might argue that the intense heat during the summer months would be a problem, but this can be mitigated with the use of shade creating pergolas and awnings, the cooling effect of plants and maybe the refreshing sound of a bubbling water feature. In fact cities, of concrete and tarmac, retain heat and plants, through transpiration, directly cool the air and greatly reduce surface roof temperatures. The easiest way, though seldom the most effective, to create a roof garden, is to use free standing pots and containers. In a small space these would work, with the correct choice of plants and materials, but in a larger space it is difficult to create an impact. Maintenance is also an issue, with pots requiring constant care and attention during the warmer months. A better solution is to construct planters which will instantly give much more of a garden feel whilst reducing the maintenance. With proper planning, and of course the assistance of an architect who will work out the load bearing capacities of the roof, a rooftop garden can be made to measure to best suit the user’s requirements and lifestyle. In short, since a vast part of the earth's surface, in a town, consists of roofs, what better way to utilise this space than to plant a garden which will significantly and positively alter the psychological climate. In courtyard gardens the lack of space encourages us to stick to one central and well thought out scheme and makes attention to detail very important. Stay with one central and simple design concept in a very small space, a variety of ideas and schemes will result in a messy affair! Start by looking at your space from the windows of the house – a courtyard can be enjoyed as an outdoor recreational area as well as a decorative element from indoors which will add great value to the property. Check which wall or space is seen from most of the windows and what dominates the view. What looks attractive and what do you need to conceal? Are there any neighbours you wish to screen out? Different perspectives will make your courtyard seem larger and emphasising the width or the length will make that dimension stretch visually. Using a diagonal will give you the longest possible dimension in a small space. Similarly, large, monochrome paving will expand space and busy, patterned pavers decrease it. 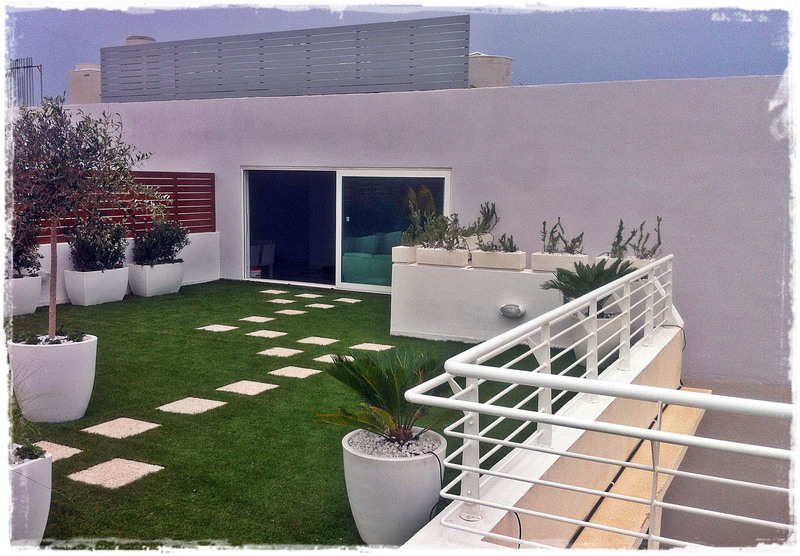 Choose a focal point which will give the garden a focus and reinforces the design concept. A focal point can be a water feature, a small tree, a sculpture, an arbour of even a trompe d'oeil effect. If the courtyard is totally paved or the 'soil' is more like rubble then the alternatives are raised planters or free standing pots – large, dramatic pots that is, and not a hotchpotch of different little ones which will just give an impression of clutter. When choosing containers for the garden, it is best to select ones that are similar in style but varying in size. Small gardens don't need lots of small plants but rather one or two larger plants which will pull the scheme, and the smaller plants, together and provide scale. Choose plants carefully as a straggling, half-dead plant is going to be glaringly obvious in a small space.Walls can be clothed with a wide variety of climbers which will soften the space, provide colour and scent. Walls can be clothed with a wide variety of climbers which will soften the space, provide colour and scent. A well planned lighting scheme will transform the courtyard at night and greatly increase the amount of time spent in it. Office landscaping is now considered a must, with modern pots available in various colours adding punch to what otherwise would be considered a drab office reception area or board room. Interiorscaping of this kind not only provides an aestethically pleasing environment but also creates a lasting impression on clients and at the same purifies the air inside. 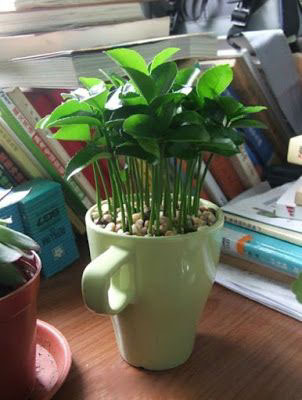 Studies show that a pot plant emits oxygen while filtering deadly office gases. This happens when the foliage soaks up pollutants in the air caused by modern man made furniture, paint, varnish, printers, photocopiers and some air conditioning units. These air pollutants are increasingly linked to various respiratory problems, such as asthma, and also a general feeling of being under the weather. 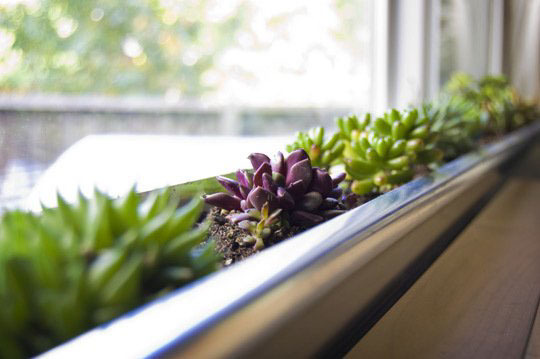 The NASA Clean Air Study listed the top air purifying plants for homes and offices. It further recommends that fifteen to eighteen good sized houseplants are used in an area of one hundred and seventy square metres. Many of these plants are readily available and do well in Malta such as the Rubber Plant (ficus elastica), the English Ivy, the Peace Lily (spathiphyllum), the Dracaena Marginata, the Mother in Law’s Tongue (sansevieria), the Spider Plant and Scindapsus. Nowadays offices can also avail themselves of regular plant maintenance services thus ensuring the plants are kept healthy and in good condition even though the office staff may not have green fingers. Having office plants has been found to help reduce dust pollution, reduce employee stress and even improve concentration and productivity! Therefore a couple of office plants and stylish pots are definitely a good investment and employers should consider it money truly well spent.